Two of the lights in our living are Philips Hue lights. I especially like them for their ability to reach 2000K color temperature (very warm white light), which gives a nice mellow yellowish white light. We control the lights via normal light switches contained in the light fixture. Due to the way Philips Hue lights work this implies that whenever we turn on the lights again they go back to the default setting of around 2700K (normal warm white). Code is in rust (of course) and can be found at https://github.com/andete/hue_persistence. 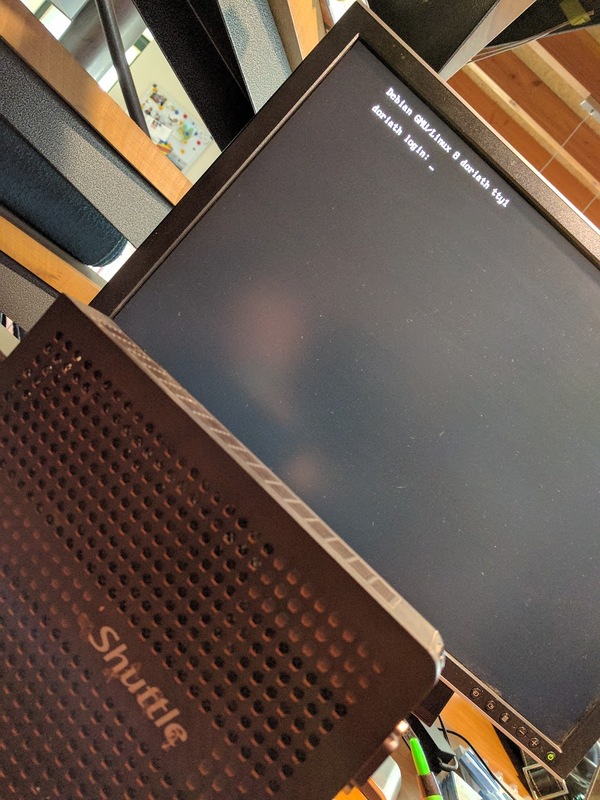 Just run it on a local server (I use my shuttle xs36v) and it automatically starts working. Keep in mind that it can take up to a minute for the Hue system to detect that a light is reachable again. I recently re-installed this system to use it as a local server. Installation of Debian 8 went smooth. I choose not to install a graphical environment as I only want to attach a screen in emergency situations. The system boots fine but then the screen goes into power-safe mode. The system is still reachable remotely. After some searching on the internet  the solution is to blacklist the graphics driver of the system. this updates the boot RAM disk to reflect the change. Reboot the system and enjoy a working console.